For those, who don’t know, Business intelligence is a technology-driven process for data analysis and presenting applicable information to allow executives, managers, and other corporate end users make measured successful business decisions. Recently Business Intelligence tools and platforms have become the “right hand” not only for large businesses but for small and middle-sized companies as well. Providing multiple advantages, they help them get successful business results. Various latest BI-conferences and surveys show, that BI solutions allow companies significantly optimize internal business processes, increase operational efficiency and solve a wide range of business issues. Find out what challenges BI solutions solve and what benefits provide. BI is generally used alongside with business analytics, which lends a helping hand in getting the insights required for making better business decisions and strategic moves. 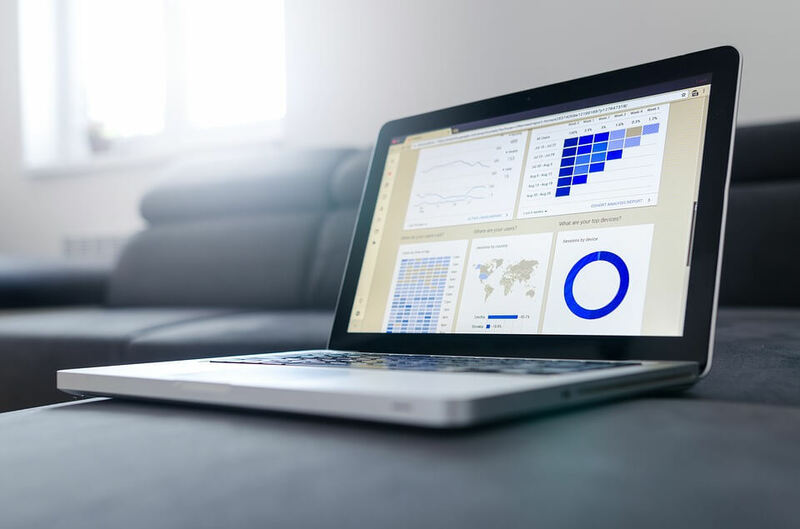 Lately, there have been some growing trends in BI and analytics, that are now becoming more actual and useful, when it comes to boosting your company performance. So let’s take a brief look at the three main Business Intelligence tools and find out, why they are said to be the most perspective BI solutions for modern business. This BI trend is known to be used for making predictions about different future events. Multiple companies use predictive analytics to solve hundreds of important issues and difficulties they face in their everyday routine, as well as to uncover new opportunities. Predictive analytics use such modern well-known technologies as data mining, predictive modeling, and even artificial intelligence. This Business Intelligence tool allows businesses to become proactive, forward-looking, anticipating outcomes and behaviors based on the data and not on a hunch or assumptions. With today’s interactive and easy-to-use software, now predictive analytics is no longer just the domain of mathematicians and statisticians. Today this technology is a must-have for business analysts and line-of-business experts. Risk minimization and decision-making. For instance, in banking sphere predictive analytics tool is used in credit scoring, where the tool generates a score based on collected and analyzed data about potential client’s creditworthiness. Increase in marketing campaigns’ effectiveness. The BI tool determines customers’ habits, needs, and preferences in order to create successful marketing campaigns, boost sales, and let business grow. Improvement of operations. Predictive analytics can help businesses in a variety of things, for example, in inventory management. A more effective inventory management will enable your employees to immediately find the parts they need to complete a job faster. Prevention of deceptions. With all this recent cybercrime increase, such BI tool, as predictive analytics, is essential in eliminating vulnerabilities in all business spheres. Predictive analytics shall come in handy, where prognostication is an integral part of the business sphere, for example, this BI tool can be used on a daily basis in banking & financial services, healthcare, retail, government & public sector, manufacturing, etc. What’s more, predictive analytics is frequently used as an integrated module in CRM and risk management systems. Anomaly analytics is a tool used to identify unusual equipment state, or a set of actions made by users which do not conform to the expected patterns in a dataset. Expected patterns can be generated from previous datasets or idealistic datasets that can be configured by business analytics. The process of anomaly detection is based on big data and machine learning, so basically you don’t have to do anything, the tool gets everything done for you instantly. It uses different approaches, but delivers the same result and shows what, when and where various abnormal activities have occurred. Fraud detection. For example, when you are running a website, and there has been a sudden traffic rise, this BI tool can easily alert you about that and notify you about the reasons why: maybe it is because of bots and spam, or maybe another external factor. Fault detection. For instance, anomaly analytics can help you point out your fault in UX due to new release or change in the app. System health monitoring. BI solutions can also keep you up to date on whether your system/app/website/equipment is running smoothly or not. Basically, anomaly analytics tool can be used in almost every business sphere, where expensive equipment and security are involved, as abnormal issues can happen anytime and anywhere. That’s why such Business Intelligence tool as anomaly detection is crucial, especially when it comes to reducing the number of those issues. The term “IoT Analytics” can combine BI tools described above. However, it also does so much more, that only your imagination is the main limitation. IoT analytics is mainly used as a strong corporate tool, that helps gather and analyze large data volumes, from sensors on manufacturing equipment, pipelines, weather stations, smart meters, delivery trucks, and other types of machinery. Just imagine a “smart enterprise”, that can intuitively sense the needs of its business, customers, and employers, based on the data, processed by Business Intelligence tool. Sounds amazing, doesn’t it? All of that can be done with the help of IoT Analytics, working with sensor-rich objects and Artificial Intelligence. Customer Experience Optimization. IoT analytics can collect customer data, provide deep customer intelligence, resulting in queue minimization and customer experience enhancement. Existing Product Performance Optimization. It means that we can get personalized insurance, better warranty analytics, traffic management, and much more. People Processes Optimization. For instance, in hospitals, such a powerful BI tool can help increase worker safety, provide smart assistance, ensure hospital staff optimization, and many other amusing things. New Revenue Opportunities. Yes, that’s right, IoT analytics can really give you more opportunities to get even more money. For example, such interesting things, as remote health monitoring, contextual marketing, and data monetization can actually win you a whole fortune. This wonder-making Business Intelligence tool can dramatically improve any life sphere, starting from restaurant and tourism business to logistics industry. Besides, it can become a perfect additional module to such business systems as CRM, ERP, GIS, and EAM. In a nutshell, IoT analytics is applicable to almost everything. To sum up, now smart Business Intelligence tools are becoming one of the hottest trends on IT-market for quite objective reasons – they help businesses increase their efficiency and thus work more productively, use the collected data in numerous useful ways and leading to better decision-making. What’s even more important, such business tools are becoming more available, so it’s no longer a luxury. Any of those described above tools, whether it’s predictive analytics, anomaly detection or IoT analytics, is worth being invested in, so make sure you come to a wise decision for your business right now! Hope, the article has been useful to you. If you have some questions or a project idea, you’re welcome to apply to us and get a free consultation! Specializing in custom mobile and web app development, we are always ready to provide you with smart recommendations!